It is important to grasp a better understand of the four Cs of diamonds - Cut, Color, Clarity and Carat weight, before you begin your diamond shopping. In this guide we have simplified your tasks so please click on the section which you would like more details on. Most customers understand that color is an important ingredient in determining the value of a diamond. Also when one starts talking about diamond color grades, they expect to be able to tell the differences in the color grades instantly. However, the differences in the colors are quite subtle at times and it requires a trained eye to notice one color grade differences in diamonds. The difference in color grades can be thought of as differences in the whiteness of paper. For example the difference in whiteness of a facial tissue, a local newspaper, a sheet of computer paper, and a small index card is minor but the color difference does exist. Also, the color in diamonds can be either yellow (in most cases) or brown. The color grade ranges from D - Z color, where D is the whitest (or colorless) and Z is light yellow or brown. The more whiter, or colorless, a diamond is the rarer it is and thus more valuable it is. D-F, colors are viewed as colorless and are very rare, where G-I colors are near colorless and still rare. J-K colors have very light color but are ideal for yellow gold mountings because diamonds in these mountings still look white because of the surrounding. Colors below K are not advised by GemsNY because they have traces of color which can be detected by an untrained eye. 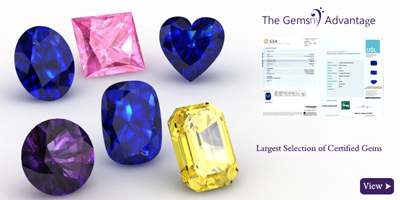 GemsNY carries diamonds in color grades from D-K color only. We don't carry colors below K to ensure you are selecting the highest quality diamonds. At GemsNy, you'll find only the finest diamonds with color graded D-J . Diamonds graded better than J are colorless or near-colorless - their color is typically undetectable to the unaided eye. The color in diamonds graded K-Z detracts from the beauty of a diamond. It's especially noticeable set in platinum or white gold. So What Is The Right Color Grade For You? For the idealists, stick to the colorless diamonds in the D-F range with a fluorescence rating of none, inert, faint, or negligible. For people looking for value, choose something in the near colorless range in the G-I range with up to medium fluorescence. 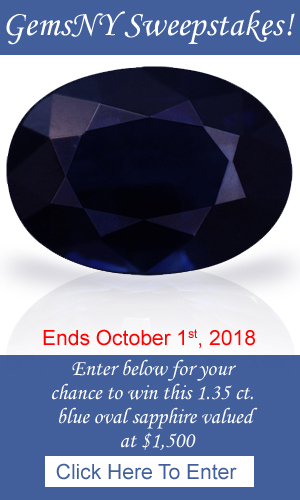 For people looking for exceptional value and plan to choose a yellow gold mounting, look to purchase stones in J-K range with up to strong fluorescence. Note, fluorescence is advised in this color range, as the diamond will appear whiter. FL,IF- Flawless or Internally Flawless.This is the highest clarity grade a gemstone can have. This means the gemstone is 100% clean to the eye to a trained, experienced gemologist but not necessarily under 10X or higher magnification. FL, IF Diamonds: This stands for flawless and internally flawless. A flawless diamond has no internal or external flaws. An internally flawless diamond has no internal flaws. VVS1, VVS2 Diamonds: Stands for very, very slightly included. These inclusions are very difficult to see even using 10x magnification. Diamonds in this clarity grade are of very high quality. VS1, VS2 Diamonds: Stands for very slightly included. Inclusions in this range are still very small and still can't be seen by the naked eye. These diamonds are still high quality diamonds. SI1, SI2 Diamonds: Stands for slightly included. Inclusion in this range are readily visible under 10x magnification and are at times visible even by the naked eye. These diamonds present a very good value. I1, I2, I3 Diamonds: Stands for included. These diamonds don't require a 10x magnification for the inclusions to be seen. They can readily be seen even by the naked eye. These diamonds should be avoided in most cases. So What Is The Best Clarity Grade For You? We believe the best diamond value is offered by the diamonds that are 'eye clean' or diamonds whose inclusions are not visible by the naked eye. These diamonds are far cheaper than FL, IF, VVS diamonds and will appear the same to any individual, even diamond experts, since the inclusion are not visible without 10x magnification. For the idealist stick to FL, IF, VVS1, VVS2 and VS1 clarity grades. For people looking for value, clarity grades in VS2, SI1 and SI2 offer the greatest value. These diamonds are eye clean in most cases. The cut of a diamond is the main ingredient in determining how much brilliance and fire that diamond will have. There is a strict range of proportions that a diamond's cut has to meet in order for that diamond to exude maximum brilliance and fire it is capable of. 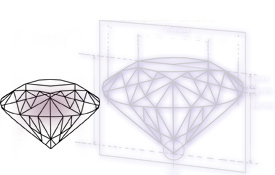 Although different jewelers have different perception of what ideal proportions are, there are certain ranges which are accepted as ideal by all. Generally, in order for these ideal proportions to be met, there is a greater weight loss than if the diamond was to be cut to retain the maximum weight, therefore better cut diamonds cost more money. There is no one particular measurement which dictates a diamond grading but rather it is a combination of factors that determine the cut grade. The main factors that are considered are depth percentage, table percentage, polish grade and symmetry grade and minor factors include pavilion angles, crown angles, girdle thickness etc. The description below for depth percentage and table percentage is only for round brilliant diamonds. Too Shallow: Light is lost from the bottom of the diamond causing light to leak out and lose its brilliance. Too Deep: Light leaks from the side of the diamonds causing the diamond to appear dull and dark. Symmetry is the evenness between corresponding parts of a stone. This is important in maximizing the brilliance and fire of a diamond. Some of the symmetry components are misaligned facets, misshapen facets, out-of-round girdle outlines, table not parallel to girdle or wavy girdle. When choosing a diamond look for a diamond with good, very good or excellent grade on the certification. Congregation of the exactness of the cutting details, the execution of the design and the polish quality make up the polish grade. It is imperative to have good polish in order for the diamond to have maximum brilliance, fire and scintillation. Some of the polish components are bearding, scratches, polish lines, nicks and pits. GemsNY maintains extremely stringent guidelines for acceptable cut grades. All diamonds we offer must fall into our stringent cut guidelines, the ones which do not are not offered on our website. We have tried our best to keep our cut grades in line with the three major laboratories: GIA, AGSL and EGL. 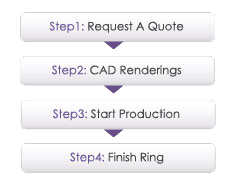 This is done to ensure that we are consistent with the cut grades widely used in the jewelry market. Here below are the cut specifications we used for GemsNY to assign the cut grades for rounds and princess cuts. So What Is The Best Cut Grade For You? It is important to remember that the cut grade is the most important factor in the amount of brilliance, scintillation and fire a diamond has. However to what extent? The difference between an ideal cut diamond and very good exists but it is minor. For individuals who are looking for the best they should only consider our ideal plus or the ideal cut. 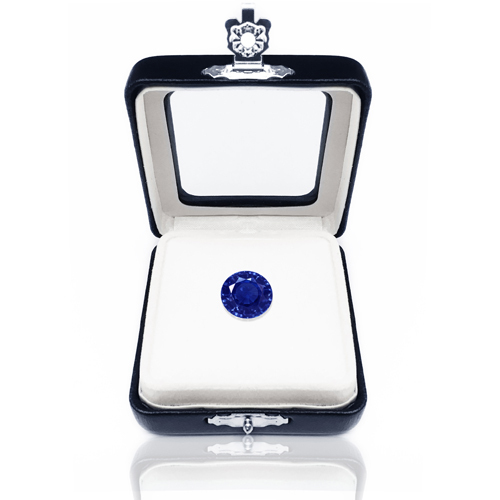 However, the very good and the good cut offer excellent value for the money and still offer very good scintillation and brilliance in a diamond. So for the idealist, stick with our ideal plus or the ideal cut grade only. For people looking for good value, consider purchasing very good or good cut diamonds. With little loss in brilliance and scintillation these diamonds offer the best value. Carat weight is the unit of measurement that is used by the jewelry industry to weigh all gemstones, including diamonds. One carat is equal to .2 grams or there are five carats in one gram. Many times diamonds are weighed in points; 1carat = 100 points. So a .50 carat diamond is equal to 50points and a 1.23 carat diamond is equal to 123points. Points is normally used as measurement for diamonds under 1carat size. As you can see, a 2-carat diamond is not twice as big as a 1-carat diamond. Also, the price per carat of a 2-carat diamond is significantly more than a 1-carat diamond, assuming both diamonds are of the same quality in all other aspects. The reason for this is simple: A two carat diamond is much rarer than a one carat diamond and thus it is more valuable than a 1-carat diamond. So What Is The Best Carat Weight For You? If you are working in a budget, try to figure out the other three C's (Color, Clarity & Cut) and than evaluate what is the biggest size you can get for within your budget. If the largest carat weight possible is your requirement, than we suggest go with a good cut diamond that has I, J, K (K color only if you are going with yellow gold setting) color and SI1, SI2 clarity. If the recepient is very active or has never worn jewelry before she may find herself banging or bumping her new ring. In such a case we suggest going with a smaller size diamond or going with a setting which will protect the diamond. It is also important to keep in mind that smaller the recepients finger the bigger the diamond will appear. A one carat diamond will look significantly bigger on a size 3 finger than a size 9 finger. Finally, we suggest the best way to evaluate the proper carat weight is by understanding her preferences. If you would like to surprise her, than it is best to ask her family members or try in covert ways to find out her preferences without her suspecting anything. Also, the type of jewelry she currently wears can be a great indicator of her likings. GIA Lab sets the standard for diamond grading and is by far the most commonly used and respected lab in the trade. The Diamond Dossier®, is GIA report issued for diamonds weighing less than 1 carat. EGL certificates are the second most common certificates on the market. EGL Lab tends to be more lenient in their color, clarity and cut grades than some of the other labs. The AGS certification is in par with GIA in being very strict in their grading and this laboratory is generally used for very well cut to ideal cut stones only. An independent laboratory that uses state of the art high tech equipment to verify the quality of a diamond's cut. Most of the appraisals that we give out for independent opinion is from IGI. GemsNY's high tech in-house gemology laboratory uses similar state of the art technology used by some of the most renowned laboratories such as GIA, AGS and IGI. We are so confident of our diamond grading that we guarantee the color, clarity, cut and carat weight on all GemsNY certified diamonds and offer a full 100% money back 30 day guarantee. Round is the most common shape among diamonds, consisting of 57 or 58facets. It is also the most readily available shape and the classical sweetheart. However, this doesn't mean that other shapes aren't as good. The most important factor in determining which shape is right for you is simply what appeals to you most or which shape looks best on your hand. Stones which are longer or shorter may give your hand a longer or shorter appearance. One of the biggest misconceptions that customers have about diamonds is that they are the toughest material on Earth. Unfortunately this is not correct. If you bang your diamond ring hard enough on a tough surface, such as concrete, the diamond will shatter. The best way to protect your diamond against damage is to be conscious of the fact that you are wearing a ring and also by purchasing a protective setting which guards the diamond well. Also exposure to harsh chemicals, years of perspiration and chlorine will lead to dullness in the diamond. Therefore, you should have periodic cleanings performed for your diamonds. Do not wear your diamond while taking a shower, going for a swim, or playing outdoor sports. Use an ammonia solution with water to clean the ring. If cleaning by hand, softly scrub the diamond ring with a brush. This will loosen most of the dirt from the ring and add significant sparkle to the diamond. Do not expose jewelry to sudden temperature change as this may cause cracks. Keep each piece of jewelry in separate packaging to prevent scratches.